Some of the finest solo voices of Northeast Ohio make up the Cleveland Chamber Choir, the city’s newest professional choral ensemble. The vocal artists are dedicated to performing the vast choral repertoire, both old and new, at the highest level possible. Get to know a little bit about each of our fantastic singers below! ​Courtney Becker-Howell, mezzo-soprano, is a Northeast Ohio native. She received her bachelor's degree from the Baldwin-Wallace College Conservatory of Music, where she studied voice with Dr. Marc Weagraff. While earning her master's degree from Xavier University, she sang as a chorus member and soloist with the May Festival Chorus. After relocating to Baltimore, Courtney joined the Baltimore Choral Arts Society and performed with the Bridge Ensemble, a professional chamber choir specializing in new music and works from the Renaissance and Middle Ages. She also sang as a choir member and soloist at Epiphany Episcopal Church in Timonium, Maryland and with the Choir at St. David's Episcopal Church in Baltimore. Courtney has a passion for chamber choral singing, and is elated to be joining the Cleveland Chamber Choir in its third season. She works as a healthcare administrator and resides in Solon with her husband and their three-year-old son, Sam. Having been a member of the Cleveland Orchestra Chorus and Atlanta Symphony Chamber Choir, Carrie is delighted to join the Cleveland Chamber Choir in its second season. She has performed with the El Paso Opera, the Colorado Gilbert and Sullivan Festival, and Boulder’s Dinner Theatre. As a soloist, she has sung the Poulenc Gloria, Beethoven’s Ninth Sympony, Bach’s Cantata 151, and Mozart’s Requiem. As Associate Professor and Director of Vocal Studies at the College of Wooster, she teaches voice, vocal pedagogy, and directs the Opera Workshop. She received her Bachelor and Master of Music degrees from the University of Missouri and the Doctor of Arts in music degree from the University of Northern Colorado in Voice Performance and Pedagogy. She has recorded an album, Sonidos Sureños, with pianist Brian Dykstra for the Centaur Label, and enjoys an active schedule of chamber music performances with the Modern Muse Trio. Carrie also served as a soloist, organist, and chorus master in the Episcopal Church for fifteen years. Nathaniel serves as Fine Arts Coordinator for Akron Public Schools, as well as Artistic Director of the Hudson Community Choruses. He was previously the Director of Vocal Activities at Miller South School for the Visual and Performing Arts, Director of Choirs at Ashland High School, and Music Department Chair for Ashland City Schools. He has studied conducting with Sam Gordon, Timothy Dewitt and Jesse Tennyson, voice with Maureen McKay, Laurie Lashbrook and Lillian Long, as well as piano with Christina Tan and Mayumi Kikuchi. He was awarded the honor of directing the Pro Musica Girls Choir in the 8th Annual Cantemus Choral Conducting Master Course in Niyregyhaza, Hungary; soloist for the Mozart Festival in Salzburg, Austria; and founding member of the award-winning men's a cappella group Nuance.Most recently his choirs earned gold and silver awards at the Bratislava International Choral Competition. Nathaniel lives in Akron, Ohio with his wife Maria and daughter Lillian. Emily Engle is happy to be a part of the Cleveland Chamber Choir. Emily is a current member of the Cleveland Orchestra Chorus and a past member of the Summit Choral Society's Masterworks Chorale and Singer's Companye, Akron. Besides being a featured soloist with past and current choirs, Emily, being married to a recently retired pastor, has had many musical opportunities in church music as well. She has been teaching music in the Stow – Munroe Falls City School District since 1995 and has had the privilege of teaching every grade level in every one of the district's nine buildings. She currently enjoys teaching K-4 general music and elementary choirs. Emily lives in Stow with her husband and three beautiful daughters. ​Brian Fancher, baritone, is thrilled to be performing with the Cleveland Chamber Choir. A Cleveland native, Brian has been singing his whole life, beginning in the Riverside Youth Choirs, and continuing with the Cleveland Orchestra Youth Chorus, Blossom Festival Chorus, Wooster Chorus, and now the Cleveland Chamber Choir. He earned his Bachelor’s of Music Education from The College of Wooster where he studied voice with Dr. Carrie Culver, and sang in the Wooster Chorus under the direction of Dr. Lisa Wong. He currently serves as High School Choir Director and Assistant Band Director at Mayfield City Schools, assisting with the 7th grade music ensembles and The Pride of Mayfield Marching Band, as well as directing two concert choirs and the high school Symphonic Band. Corey Fowler is the Director of Choirs at Roosevelt High School in Kent, Ohio and the Director of Music and Organist at Kent United Church of Christ. He received his Bachelor of Music Education and a Masters in Choral Conducting at Kent State University, studying with C.M. Shearer, Tim Culver, and Scott MacPherson. Mr. Fowler is also a member of the Ohio Music Education Association and serves as a vocal and choral adjudicator for the organization. In addition to singing in Cleveland Chamber Choir, he has also sang in the chorus of Opera Cleveland’s productions of Lucia di Lammermoor, Don Giovanni, and La Boheme, and has performed with the Nightingale Opera Theatre in Hudson, Ohio. He lives in Kent with his wife, Katie, a classical vocalist and voice teacher, their daughters Clara and Nora, and two rescue dogs. Katie Fowler, mezzo-soprano, has been acclaimed as “lovely of voice and every inch a charmer.” Recent operatic roles include Lola in Cavalleria Rusticana with Opera Circle, Hansel in Hansel and Gretel and Emma Jones in Street Scene, both with Nightingale Opera Theatre, and Stéphano (cover) in Gounod’s Romeo et Juliette with the Bar Harbor Music Festival in Bar Harbor, Maine. Ms. Fowler has been featured as Carmen in concert with the Heights Chamber Orchestra, as a soloist in Cleveland Opera Theater’s summer concert series Opera for All, and as the alto soloist in Saint-Saëns’s Christmas Oratorio with Kent State University. She completed her Masters of Music in Voice Performance at Kent State University in May of 2011. Alongside her singing credits, Ms. Fowler has maintained a private voice studio since 2009 and joined the voice faculty at Aurora School of Music in 2016. Ms. Fowler resides in Cortland, Ohio with her husband and three year old daughter. Joseph is a native of Avon Lake, Ohio. He studied voice with Elizabeth Unis Chesko and Laurie Lashbrook and studied conducting with Ernest Hisey, Betsy Burleigh, Howard Meeker and Samuel Gordon. He has sung for Robert Shaw, Alice Parker, Frank Jacobs, Ivan Trussler, Maurice Casey and Robert Page. He was a member of the Robert Page/Cleveland Singers (professional ensemble) for eight seasons. He has performed with the Cleveland Orchestra Chorus, Akron Orchestra Chorus, Myriad, St. John’s Cathedral Choir, VOCI (Voices of Canton Inc.), Summit Choral Society Masterworks Chorale and various opera choruses. He debuted the role of Sir Francis Knollys at the world premiere of Bain Murray’s Mary Stuart: “A Queen Betrayed”. Joseph earned a Bachelor of Music in Voice Performance degree from Cleveland State University and a Master of Music in Choral Conducting degree from The University of Akron where he was Graduate Teaching Assistant to Dr. Samuel Gordon, Director of Choral Activities. Noah is a professional and freelance music teacher, singer, and trombonist. He sings Bass II in CCC, and has sung tenor, baritone, and bass in many large and small choral settings in greater Cleveland. Noah currently teaches 3rd and 4th grade general music, beginning orchestra, and children's choir at Avon Local Schools. He has also served positions in 7-12 choir, 6-12 band, and infant-preschool music. In addition to public school teaching, Noah is the Director of Youth and Children's Music at Lakewood Congregational Church of Christ. He earned his Bachelor of Music Education from the Baldwin Wallace University Conservatory of Music ('14) and his Master of Music Education from Michigan State University ('17). Noah studied trombone with current and former Cleveland Orchestra members, such as Richard Stout and Allen Kofsky, and has served as a conducting apprentice with the BW Men's Chorus. Sarah Henley, soprano, grew up in England and was trained as a chorister in the Royal School of Church Music (RSCM). After graduating from Redroofs Theatre School, she worked as a studio session singer and performed in many West End shows before moving to America in 1991. She has since performed with several vocal ensembles including the Evansville Philharmonic Chorus, The Cleveland Orchestra Chorus, and Cleveland Orchestra Chamber Chorus. She has been a soloist for many churches and temples and is currently in her third season with The Cleveland Chamber Choir. Sarah is proud to serve on the Chamber Choir's board as part of "The Sunshine Committee", meaning that she is responsible for most of the social media content online - so if you don't like it, you know who to blame. She became an American citizen in 2001 but still has a bit of a funny accent. Sarah has two adult children and enjoys traveling and martinis...not necessarily in that order. Sarah Hutchins, mezzo-soprano, a native Texan, is local to the Akron area, where she has lived since studying for her Master’s in Voice Performance at the University of Akron with Dr. Laurie Lashbrook. She earned a Bachelor of Music in Voice Performance from Mount Union College where she studied with Amanda-Joyce Abbott and Rachel Eggers Shaffer. She has played such roles as ‘Olga Olsen’ in Kurt Weill’s Street Scene for the Nightingale Opera Theatre, ‘Charlotte’ (cover) in Werther, ‘Birdie Martin’ in The Only Girl with the Canton Comic Opera Company, ‘Katisha’ in The Mikado with UA Opera Theatre, ‘Anna Murrant’ for UA’s production of Street Scene, ‘La Ciesca’ in Gianni Schicchi (U. Akron), and ‘Nurse Lola’ in Gallantry (Mt. Union). She has also been a soloist with local ensembles, such as the Canton Symphony Chorus and the Alliance Symphony as Soprano Soloist for Handel's Messiah. Sarah is currently a member of the Cleveland Orchestra Chorus and Chamber Chorus. Matthew Jones, tenor, has appeared as soloist with the Savannah Philharmonic, Stow Symphony Orchestra, Great Lakes Light Opera, Opera Circle, Duffy Liturgical Arts, and Trinity Chamber Orchestra of Trinity Cathedral, Cleveland. He has also performed in Charleston's Piccolo Spoleto Festival and Sherrill Milnes' V.O.I.C.Experience Foundation's Beautiful Voices program. Matthew is pursuing studies in music education and performance at Cleveland State University. Aside from teaching in the Cleveland area, Matthew sings with the Cleveland Chamber Choir, and Trinity Chamber Singers and Cathedral Choir at Trinity Cathedral, Cleveland. Joel Kincannon, baritone, has had a lifelong affinity for choral music. After earning a Bachelor of Music degree in Vocal Performance from the University of Georgia, Joel spent time in Chicago, New York, and Atlanta singing with the Chicago Symphony Chorus, Bach Week Festival Chorus, Atlanta Symphony Orchestra Chorus, and the highly esteemed Sorrento Cheese Christmas Carolers. Since returning to his hometown of Cleveland, Joel has been fortunate to perform with the Cleveland Orchestra Chorus, men’s ensemble Opus Eight, Cleveland Opera Theater, and now with the Cleveland Chamber Choir. He also sings as a soloist and choir member at St. Paul's Episcopal Church in Cleveland Heights. Kimberly Lauritsen, mezzo-soprano, has been a freelance singer and music instructor in the Cleveland area for almost 15 years. She has appeared as soloist with many local organizations including The Cleveland Orchestra, The Cleveland Art Song Festival, Opera per tutti, PAND, Canton Symphony Orchestra, Ashland Symphony, and Cleveland Opera on Tour. Kimberly works as an Adjunct Voice Teacher at The University of Akron, as a Violin, Voice and Theory Instructor at The Music Settlement, and as Choral Director at St. Peter's Lutheran Church in Shaker Heights. Kimberly has always had a passion for choral singing, and is honored to be a part of The Cleveland Chamber Choir. Noted for “her clear, focused sound, with vibrato used lightly as coloration,” mezzo-soprano Kira McGirr is delighted to be singing with Cleveland Chamber Choir. She recently made her debut with the BlueWater Chamber Orchestra as soloist in their performance of John Corigliano’s Fern Hill. Ms. McGirr also sings as alto soloist and section leader with Trinity Chamber Singers and Cathedral Choir at Trinity Cathedral, Cleveland, and has been featured as alto soloist in Mozart’s Requiem and Bernstein’s Chichester Psalms. She performs in outreach efforts with Cleveland Opera Theater. Additional operatic experience includes Cherubino (Le nozze di Figaro), Dorabella (Cosi fan tutte), and Giannetta (L’elisir d’amore), as well as a variety of opera choruses with Opera Cleveland, Indiana University, and Oberlin Conservatory. She has performed in festivals and conferences in Ohio, Michigan, and Indiana, including most recently with the Tuba Bach Chamber Music Festival. Ms. McGirr holds a Master of Music in Vocal Performance from Indiana University Jacobs School of Music and a Bachelor of Music in Vocal Performance from Oberlin College & Conservatory of Music. She resides in Oberlin, OH with her husband and two young sons. Natalie Mallis is the Artistic Director of the Singers’ Club of Cleveland, a 60-voice men’s chorus celebrating their 124 th season as “Brothers In Song”. Her prior appointments include Director of Choral Activities at Kent State Stark, Artistic Director of the Denton Community Chorus, Associate Conductor of the North Texas A Cappella Choir, and Associate Conductor of the North Texas University Singers. She has served on the choral music faculties at Southeastern Oklahoma State University, Millikin University, and Blue Lake Fine Arts Camp. 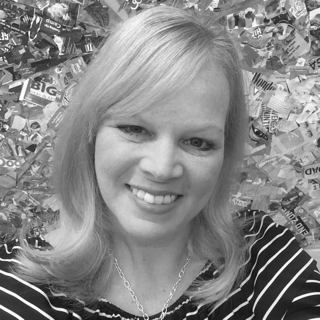 Natalie is a doctoral candidate in Choral Conducting at the University of North Texas and holds degrees from Kent State University and Bowling Green State University. Natalie is an active guest conductor and choral clinician. As a professional choral singer, Natalie has performed seasons, concerts, and recordings with the 24-voice San Antonio Chamber Choir and has appeared at the Boston Early Music Festival with the University of North Texas Collegium Singers. She is the Director of Music Ministries at First Christian Church in Wadsworth. Natalie maintains ‘A Muse to Me’ Studios and enjoys theatre, nature, repurposing things, and people watching. Preston holds a bachelor’s degree in voice performance from The Florida State University, where he studied voice with Ms. Shirley Close and sang under Dr. Kevin Fenton and Dr. André Thomas. He is currently pursuing a master’s degree in composition at Cleveland State University, studying with Dr. Andrew Rindfleisch and Dr. Greg D’Alessio. Preston is active as a vocalist in the Cleveland area, and has sung with The Cleveland Orchestra Chorus, the choir of The Cathedral Of St. John The Evangelist, The Cleveland State University Chorale, and is a frequent soloist in liturgical services at the Church of St. John Nepomucene. A Cleveland native and un-ironic Cleveland enthusiast, Preston is proud to be singing his second concert with the Cleveland Chamber Choir. Mark Miller, baritone, is incredibly excited to be singing with the Cleveland Chamber Choir. Singing in choir from the age of 8, he has continued his singing career under educators such as Lisa Wong, Lisa Hanson, Robert Porco, Frank Bianchi and CCC Director Scott MacPherson. Mark has also performed in collegiate and professional opera around Cleveland and Akron, and has enjoyed performing rolls such as Johann (Werther), Carl Olsen (Street Scene), Cadmus (Semele), Figaro (Le Nozze di Figaro), and Betto di Signa (Gianni Schicchi). Mark received Bachelor of Music degrees in Music Education and Vocal Performance from Kent State University's Hugh A. Glauser School of Music. He currently enjoys working at the Aurora School of Music as Education and Programs Coordinator, where he maintains the retail of the school, facilitates and assists in the running of all student recitals and community events, manages the ever-growing Chamber Music program, and fosters lasting relationships with parents and students attending the school. Eileen Marie Moore, soprano, a graduate of Indiana University in Voice Performance with a minor in Early Music, teaches Voice at Cleveland State University and the Oberlin Community Music School. As a New Music specialist, she has been a featured soloist with the Akron Symphony Orchestra, Cleveland Chamber Symphony, Robert Page Singers and Cleveland Composers Guild. She composes and performs “Maidens of Middle-earth” song-cycles annually (since 2011) for the Tolkien Unbound session at the International Congress on Medieval Studies, is the composer of more than 100 children’s operas, writes the scores for all of her daughter’s web series as well as children’s songs and orchestral arrangements for church. She is also the editor of the Comparative Etymological Dictionary and Thesaurus of Tolkien’s Languages (a work in progress, now in its 16th edition). Andrew J. Novak is the full-time choir director for Vermilion Local Schools. In 2016, he graduated from the Capital University Conservatory of Music in nearby Columbus, where he received a BM in Vocal Music Education. While there, he studied under Dr. Lynda Hasseler and spent a semester abroad at the Kodály Institute of the Liszt Ferenc Academy of Music near Budapest, Hungary. In the Cleveland area, Andrew has pursued projects as a singer, music director, and accompanist. From 2016 to 2018, he taught vocal music in the Twinsburg City School District. He currently sings downtown in the Cathedral Choir of St. John the Evangelist and has served as both music director and accompanist at Solon Community Church, Chagrin Valley Little Theatre, Aurora Community Theatre, Notre Dame College, and First Baptist Church of Greater Cleveland. In his free time, Andrew is an avid traveler and has visited various destinations in North America, South America, and Europe during his lifetime. Julie has earned a B.M.E. and a B.M. in Vocal Performance from Baldwin-Wallace University studying voice with Nanette Canfield. She has participated in intensive post-graduate study at Cleveland State University studying voice with Eileen Marie Moore. She has been teaching in the Cleveland area for 18 years. Julie is an active vocalist in Northeast Ohio, having performed with the Cleveland Orchestra Chorus, Cleveland Orchestra Chamber Chorus, Cleveland Opera Chorus, Lyric Opera Cleveland, and the Mercury Theatre Company. She is the Director of the Chancel Ringers Handbell Choir and Senior Choir at St. Paul Lutheran Church in Westlake, and the Band Manager of the Lutheran Wind Ensemble. She also maintains a voice studio from her home. Her favorite roles have been Emma Goldman in Ragtime, Maria von Trapp in The Sound of Music, and “The Businesswoman” in the World Premiere of Peter Mowrey’s Sangreal at the College of Wooster. Julie enjoys long-distance walking/running, crocheting, watching classic movies, and spending quality time with her husband, daughter, and Shih Tzu. ​Corey K. Rubin began his relationship with the Cleveland Chamber Choir as a composer: in 2015, his Euclid Avenue Songs was featured on CCC’s inaugural concerts, and in 2017, they commissioned and premiered his work My Mother. Known for his vocal writing, Corey has also composed choral works for such ensembles as The Crossing, The Princeton Singers, the Isthmus Vocal Ensemble, Choral Chameleon, and C4: the Choral Composer/Conductor Collective. An avid chorister himself, prior to joining CCC, he was a longtime member of NOTUS: the IU Contemporary Vocal Ensemble, and before that, the Cleveland Orchestra Chorus. Corey is currently teaching courses in composition and music theory at Cleveland State University, while nearing completion of a Doctor of Music degree in composition from the Jacobs School of Music at Indiana University. He is also an occasional contributor of crossword puzzles to The New York Times and Los Angeles Times. Lee has enjoyed singing with choirs since childhood. His high school choir in Erie, PA provided an excellent foundation for choral excellence. In college, he sang with several of Penn State's choirs while getting his BA in American History. When he returned to Erie, he was employed in the banking and insurance industries, finding his career path in Information Technology along the way. He also sang tenor with the Erie Philharmonic Chorus for three seasons. For the past fifteen years, he has sung with the Cleveland Orchestra Chorus, and serves as the vice-chair of their operating committee. Lee has worked at Progressive Insurance for the past 13 years as an IT systems analyst. Perhaps his favorite thing about singing with the Cleveland Chamber Choir is the opportunity to sing music from living composers, bringing the experience to wider audiences. Kira Seaton is Professor and Coordinator of Music at the Western Campus of Cuyahoga Community College. An alumna with several degrees from Ohio University, Ms. Seaton came to Cleveland to join the voice faculty of the Cleveland Music School Settlement and to sing with the Cleveland Orchestra and Cleveland Opera. Her favorite roles include Countess Almaviva in Le Nozze di Figaro, Donna Elvira in Don Giovanni, and the Mother in Amahl and the Night Visitors. In her time at Tri-C, she has directed, musical directed, or performed in over fifty Tri-C theatre and musical productions, including the highly successful Holiday Project, performing Children’s Operas for over 5,000 school children in the course of seven years. She is co-founder of the Tri-C West Summer Performing Arts Program, now in its 22nd year. Ms. Seaton has directed or participated in touring choirs in a number of the nation’s premiere performance halls, including the Kennedy Center, the National Cathedral, and Carnegie Hall. She has conducted choirs in international venues as well, including Italy and Canada, but is especially honored to put down her baton and perform with the Cleveland Chamber Choir. Paul Stewart (baritone) is thrilled to be singing his 4th season with the Cleveland Chamber Choir. He is currently the director of the vocal program at the Miller South School for the Visual and Performing Arts in Akron, previously directing choirs for 6 years in the West Geauga School District. He is also associate conductor and frequent soloist for the professional chamber choir Singers Companye and the baritone soloist at the First Congregational Church of Akron. He has an MM in Choral Conducting and a BM in Vocal Music Education from The University of Akron. While at The U of A he was a graduate assistant in the Department of Choral Studies; directed the all-volunteer University of Akron Men's Chorus; helped to found the international award winning men's a cappella group Nuance; was the baritone soloist for the Mozart Festival in Salzburg, Austria; and was a two-time winner of the Tuesday Musical Association Scholarship for Male Voice. He studied voice with Alfred Anderson, Dr. Laurie Lashbrook, and Dr. Samuel Gordon. He has also performed with the Voices of Canton and the Cleveland Orchestra Blossom Festival Chorus. Marie Taylor, soprano, holds a Master’s Degree in Music Education from The University of Akron. She has owned her own photography and design company (www.marietaylorphotography.com) since 2008, and is also the choir director at Our Lady of the Elms, and the Director of Choirs at The United Presbyterian Church in Cuyahoga Falls. She is a member of Singers Companye and is thrilled to be singing with Cleveland Chamber Choir for a second season. She resides in Cuyahoga Falls with her husband and three children. Nicolas Turnberrez is a Cleveland-based performer and composer. A native of Wisconsin, he spent two years in Chicago completing his Master's in Music Composition at the Chicago College of Performing Arts where he studied under Dr. Kyong Mee Choi, Dr. Stacy Garrop, and Dr. Teddy Niedermaier. During his undergraduate studies, Nicolas studied composition with Dr. Ed Martin and Dr. David Dies, as well as horn with Dr. Bruce Atwell. In addition to being a sought-after composer and arranger, he has enjoyed performing with a variety of local vocal ensembles including the Cleveland Orchestra Chorus and the Cleveland Chamber Choir. He can currently be found in the finance and operations department at Abeona Therapeutics, a cutting-edge biopharmaceutical company that focuses on extremely rare diseases. While not performing, he enjoys having a coffee and relaxing with his wife and two mischievous cats. 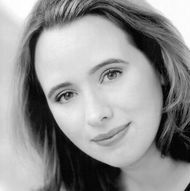 Originally from Texas, soprano Melissa Vandergriff was a longtime member of the San Antonio Chamber Choir, with whom she appeared at the National ACDA Conference in 2013, and with whom she can also be heard on the recording "Careless Carols- Choral Music of Andrew Rindfleisch" on the Gothic recording label. During a several year period living in Europe, Melissa sang with both the Ars Cantata Chamber Choir and the vocal ensemble Alterno in Warsaw, Poland. Melissa received her Bachelor of Music degree from Trinity University in San Antonio, where she was a member of the Trinity Choir and Chamber Singers. Upon relocating to Ohio, Melissa performed with the Cleveland Orchestra Chorus for five seasons and in 2015 co-founded the Cleveland Chamber Choir along with artistic director Scott MacPherson. In addition to singing with the Cleveland Chamber Choir, Melissa serves as president of CCC’s board of directors. Sean, tenor, joins the Cleveland Chamber Choir for the first time this season. He is a native of Olmsted Falls and earned his BA in Theatre and Vocal Music from Ohio Northern University. There he honed his musicianship in a variety of arenas, including their SATB auditioned-choir University Singers, their Men’s Chorus, their 16-voice Chamber Singers, barbershop quartets, opera workshops, musical theatre productions, and solo performances. He has toured many times throughout the eastern United States with his choirs, including tours in New Zealand and the United Kingdom. His wife, Kyra, is a graduate of ONU’s vocal music programme as well and currently teaches for the Avon School of Music. The two of them together are very active in music at their church, Christ Church Westshore in Avon Lake. 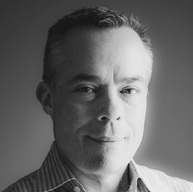 Sean is currently employed with a small, Cleveland-based healthcare company, Mobile Hyperbaric Centers, although his long-term goals are to enter into full-time ordained ministry within the Anglican Church in North America. Jelani Watkins is a post-baccalaureate student in music education at Cleveland State University. He recently moved to the Cleveland area from Atlanta with his wife after completing his first year of teaching choral and general music at Haynes Bridge Middle School where he was recognized as a finalist for the Teacher of the Year award. Watkins received his Master of Music in choral conducting at Georgia State University under the direction of Dr. Deanna Joseph and his Bachelor of Arts in Music from Morehouse College under the direction of Dr. David Morrow. While working on both degrees, he worked as a conductor and performed as a bass vocalist and accompanying pianist in concerts around the nation, Austria, and Germany. In addition to his work as a musician, Mr. Watkins has coached swimming for over seven years, instructing hundreds of swimmers from several different aquatic programs. Currently, he coaches for the Shaker Sharks Swim Team and serves as a Staff Bass Singer at the Church of the Covenant. Upon completing the coursework for his Post-Baccalaureate program, he will combine the skills from both athletic training and music performance to structure an innovative style of teaching choral and general music in Ohio. Kiko Weinroth, soprano, is delighted to have joined the Cleveland Chamber Choir. She earned a Bachelor's degree in Voice and Piano from Ashland University and a Master's degree in Vocal Pedagogy from the Ohio State University. She has taught voice and piano at several music schools in Ohio and Michigan in addition to teaching voice in the Continuing Education Department at Ohio State. She sings with the Cleveland Orchestra Chorus, Contrapunctus in Cleveland, and the award-winning Ensemble and Chamber Singers at Federated Church in Chagrin Falls. She resides in Twinsburg with her husband, two children, and a dog who likes to listen to music. Carey, soprano, teaches a full studio of private voice students and piano students in Lorain, where she lives with her husband and three young children. As a teacher, she loves the challenge of individualizing instruction for each unique student across a wide range of ages, personalities, and interests. As a performer, she has appeared numerous times with Opera Circle, most recently as 1st Lady in Mozart's Die Zauberflote, and is a regular soprano soloist with First Lutheran Church (Lorain). Carey is also the accompanist for Oberlin Choristers' una voce musica. She studied voice at Northwestern University, where she received a Bachelor of Music in vocal performance. Carey is a member of MTNA, NATS, Somatic Voicework Teachers' Association, and Cleveland Piano Teachers' Organization, where she acts as secretary. She is excited to be a part of Cleveland Chamber Choir's debut season.